The Utah Film Center (UFC) will present two documentary films – one about a San Antonio inventor of digital imaging technology who sets out to painstakingly recreate a 17th century masterpiece by painter Johannes Vermeer and the other about the Sagrada Familias temple in Barcelona – that underscore just how creative genius transcends technology and modernism to come into even more brilliant focus. Jenison is mesmerized by the incredible realism of this great Vermeer work, completed in 1665 and part of the royal collection at Buckingham Palace. In particular, Jenison sets out to advance the proposition set forth in British artist David Hockney’s 2001 book ‘Secret Knowledge’ that Vermeer likely used a form of optics to achieve the stunning effect in his work. The film will be shown Oct. 29 at 7 p.m. in a free, public screening at the Utah Museum of Fine Arts as part of the UFC’s ongoing Creativity in Focus Series. 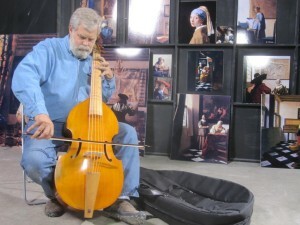 Although the 78-minute film lags in pacing at various points, nevertheless one is easily captivated by the chronicle of an individual who has never painted before in his life completely recreates the setting of this painting and uses a device that resembles a dentist’s optical mirror to guide him along in a project which took nearly five years to be realized. 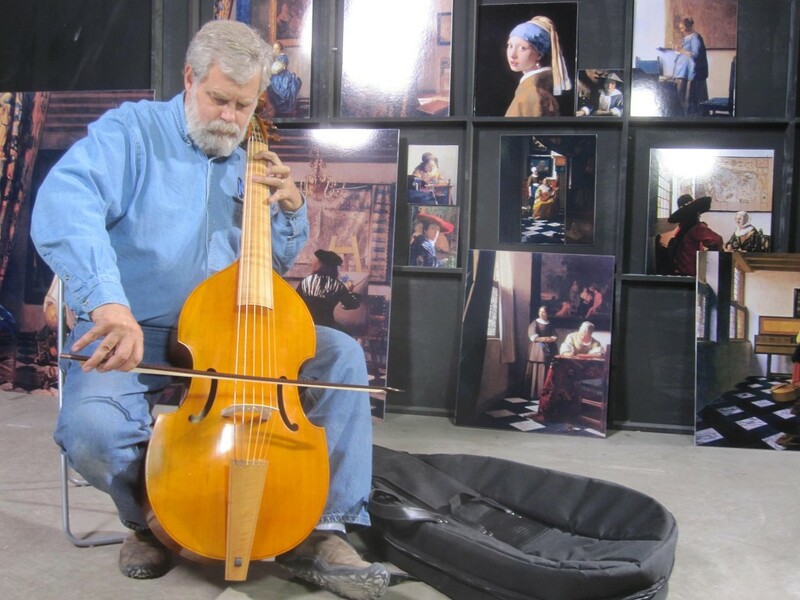 Jenison uses computer modeling to capture the precise dimensions of the room that is the setting of ‘The Music Lesson’ and then builds all of the elements and materials just as exactly as they would have been available to Vermeer during the middle of the 17th century. Jenison works adeptly to overcome hurdles, including the eye-popping scene of cutting a lathe in half. It is the supreme example of minute, arduous work. However, going beyond this remarkable exercise of recreating a great artist’s creative process are larger questions about whether creative genius remains genuine even when it operates in collaboration with technology. 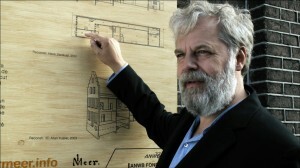 Jenison makes it clear repeatedly that his project in no way undermines the essential fact of Vermeer’s genius. 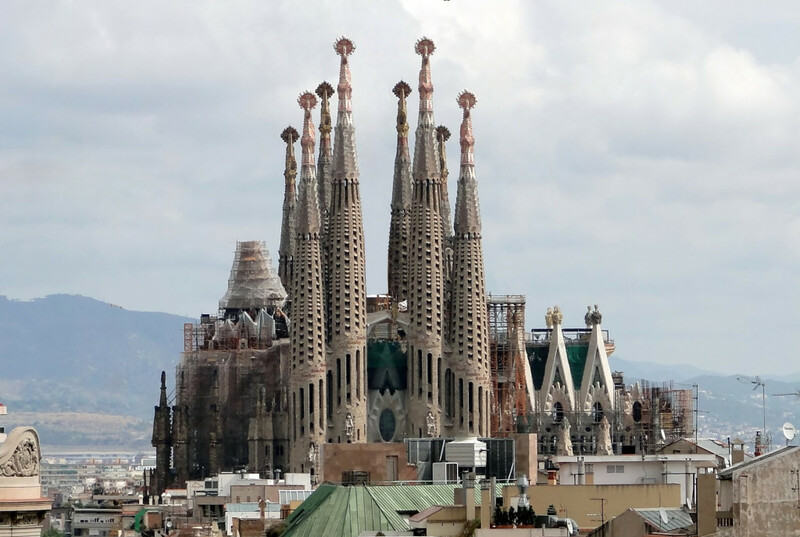 In ‘SAGRADA: The Mystery of Creation,’ viewers see extensively how the inspirational genius of a maverick architect Antoni Gaudi from the late 19th century continues to drive the ongoing work of the famous La Sagrada Familia in Barcelona. Directed by Swiss documentary filmmaker Stefan Haupt, this 2012 documentary sketches in excellent detail the controversial history of this unusual Catholic ‘temple of atonement,’ where construction continues more than 130 years after it was started. The film will be shown at a free, public screening on Nov. 18 at 7 p.m. in the City Library auditorium as part of the center’s ongoing Design Matters series. Enthusiasts of architecture will especially enjoy this film which has many brilliant shots and the immense spatial proportions of this Barcelona landmark really come through in the scenes. The film, which includes the Catalan language along with English, French, German, and Spanish, has many outstanding interviews including Japanese sculptor Etsuro Sotoo, whose dedication to Gaudi’s vision is impressive, and the very old direct descendants of Gaudi, who died in 1926. However, this 90-minute film offers much more in thematic riches. There is a good presentation about how Sagrada epitomizes the apex of Catalan identity and the passion of those committed to ensuring Gaudi’s dream is fully realized by 2026, on the centenary of his death. 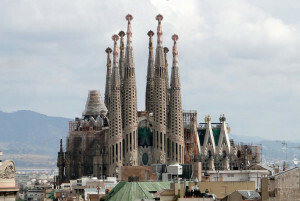 But, just as imposing as Sagrada’s presence has become on the Barcelona skyline, the film stays rightly focused on how an individual’s innermost sense of spirituality alone can inspire generations to see through completion one of the modern world’s most intriguing design projects. For more information about all Utah Film Center screenings see here.